Any business that requires staff to interact with customers through a sales and support processes. 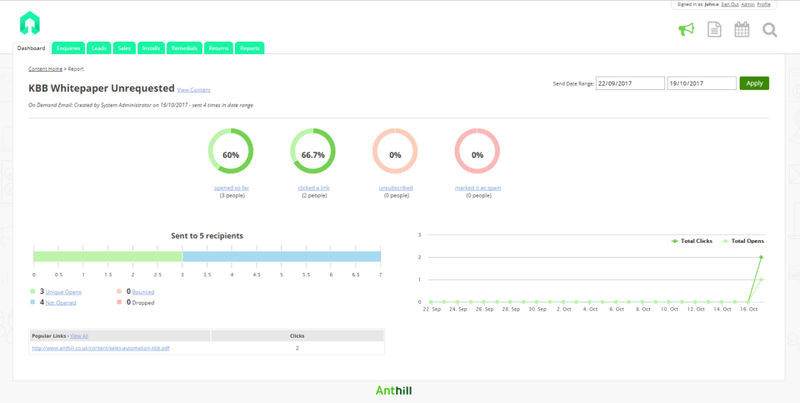 Anthill CRM Reviews Recently Reviewed! Pros: The platform has become a firm favorite of our 600+ users. Used across the whole business to enable us to deliver exceptional service and maximise sales. Overall: A platform for growth that enables me to be confident in developing and refining business improvements. The software's flexibility combined with the unparalleled support received from the team is unique. 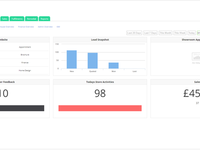 CRM is not something that can fully describe the platforms capabilities, able to cope with both the volume of usage and the need for specific requirements in their stride. Pros: The cleanliness of the appearance and usability of Anthill meant that it was easy to introduce the whole team to the software from day one. With the ability to create workflows that reflected and tracked our processes we have ensured that our clients receive optimum service from us from starting their project, keeping payments aligned throughout, and through to any remedials or issues meaning we can offer the best in aftersales care too. The integration with our website also gives a seamless appeal to our company for clients. Cons: Nothing. It takes a little time to use the software to really iron out the requirements but CSR and the team have never said 'no' to us. They will always aim to find you a way to make Anthill work for you. Overall: Before Anthill we were using many excel spreadsheets to track our client journeys with our business. It was laboursome and tiresome entering and reentering data all the time. Anthill has provided a sleek and efficient way to ensure all our clients receive the best service from their initial inquiry through to completion. Additionally being able to track the source of the inquiry has meant we can focus our marketing and budgeting effectively. The whole team at Anthill care about making their product work for you and your business and will go beyond to ensure you are using Anthill to its full capability. Overall: Organic Insurance has now been using Anthill for over 6.5 years and quite simply we would be lost without it. Financial services, specifically the insurance sector, has many levels of process, compliance and third party sites. Anthill, through Rep and his teams knowledge of the product, has been tailor made to our individual business requirements. This has been adapted many times since we started as we have grown and developed. There would be no hesitation regarding recommending the product regardless of the business activity. Pros: The beauty of this platform is that it can be customised to completely suit your own business requirements. We particularly benefit from the reporting side which has proved to be invaluable. Cons: We really don't have anything other than praise for this software, it really has enabled our team to work together more effectively and productively. Overall: Enables us to work together much more accurately and effectively. Pros: Fantastic user friendly interface. Information is clear and accessible with an infinite capacity for customisation to suit the needs of any business. Cons: Would like to run even more through it. Would be great to use as till system rather than linking to third party software. 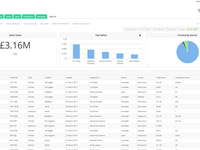 Overall: Enabled us to track our customer experience much more efficiently and dramatically improved our ability monitor the accounts process with ongoing sales and projects. Pros: this software has been a major factor in ensuring that our business is successful. the main issues other companies have when growing is that they take their eye off the existing parts of the business. this software ensures that all aspects of the day to running of a business is tracked and done in a timely manner. Overall: It ensures that the whole team is focused and moving towards the same clear goal. Pros: Anthill supports our needs from a CRM point of view and is always willing to discuss with us potential new functionality. 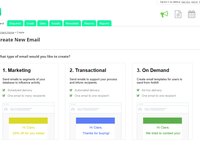 It also has a design facility for email marketing. The platform has a good customer support who is prompt in handling any query we might have. Cons: There is no telephone number for customer support - sometimes feel that we could resolve issues quicker on the phone. Overall: Helping our end client. Pros: The ability to fully control the whole customer journey from initial enquiry through to final installation and beyond with service calls has been the driving force behind our growing business. Great service and never ending patience to help us integrate and understand the initial roll out. We recommend without reservation. Pros: Everything that we need now in one place to run almost our entire operation. Most things run smoother by far and are easier to input and manage. Cons: There has been a steep learning curve in some aspects and a number of glitches. Anthil have always been very quick to respond and resolve. any and all of these and in part it's due to changes we asked for or things we found we hadn't included in the testing phase that only came to light in the live stages. I cannot fault Anthil and their team for these issues due to their great customer service and fast response times. Overall: Once used to it the time taken is far less than using multiple systems. Pros: The software is very user friendly, whilst also providing great features which come as standard. The team have been brilliant in helping us customise the CRM to our businesses requirements, from our initial enquiry call with customer support representative through to going live with other team member we have received a 5* experience. Our company were looking for a software which will give us structure as well as keep all information in one place - Anthill provides this perfectly. even post going live we have found the team to be very responsive when we have emailed or called them. we would recommend both the software & the team. Cons: This does not apply as we are very happy with the software and the customer service and would recommend, we do not have any cons. Pros: The speed in which anthill was set up was very good. The Cost is reasonable in comparison to other systems on the market. The system has made day to day business tasks a lot easier. Pros: The system has plenty of great features built in whilst still remaining easy to use which I think is a great plus. The team are all very friendly & on hand to help, thanx for their assistance getting us setup & live. 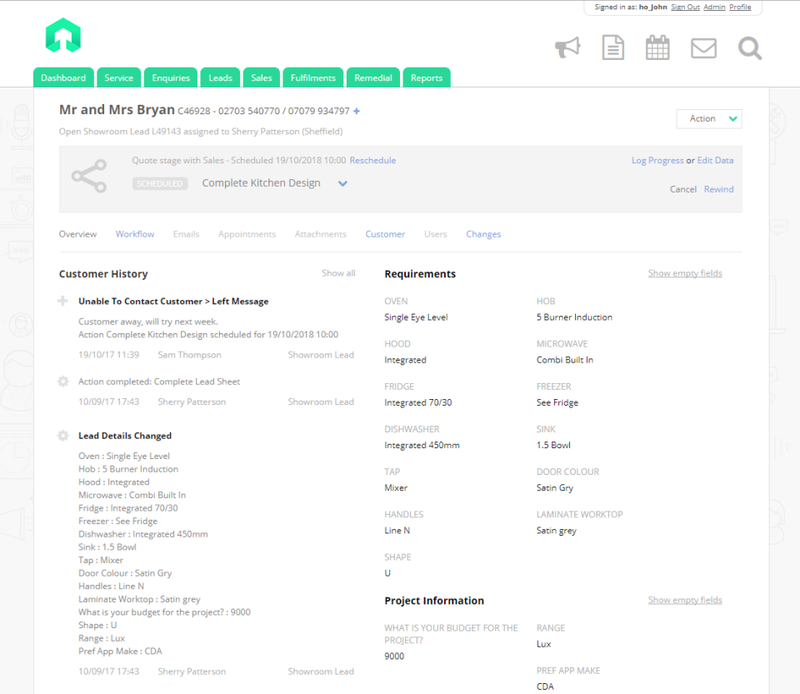 Cons: I don't have any cons for the software or the team its all positive, they were by far the best company I spoke to from the several others I had made enquiries to. Amazing software - offer multitude of functionalities and very friendly to use. I recommend! Pros: The Software offers a flexible solution adapted to our business. 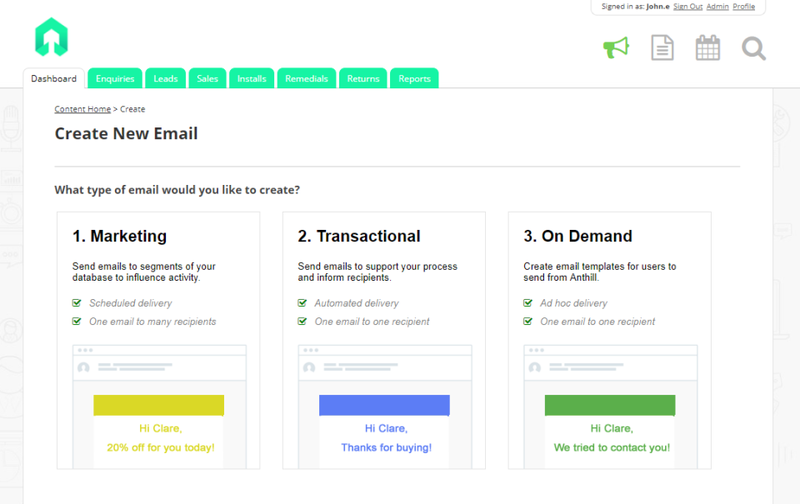 I love the automation tools and the analytic resulting from the e-mail marketing campaign. 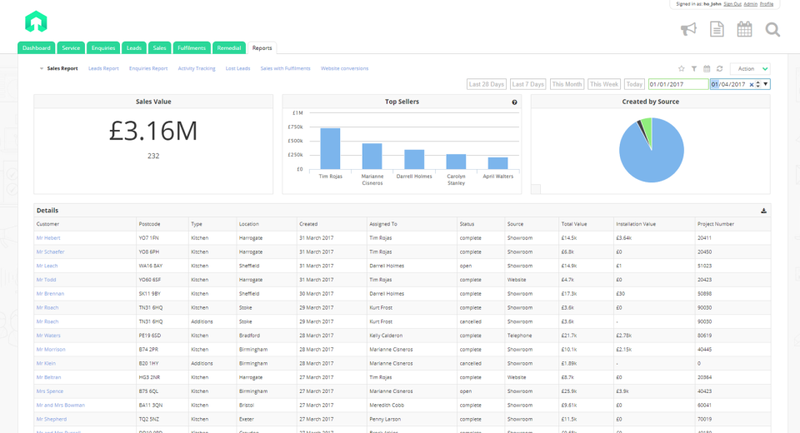 Cons: The visual look of the platform is too basic and KPI's graphs in the dashboard are not hyperlinked. Apart from this aspect, it is a good platform! 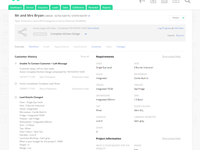 Overall: Perfect for lead generation and engaging customers.